Have you ever wanted a twin? This man met the next best thing, when he was seated next to a stranger who looked exactly like him on a flight. They took a grinning selfie together, which was posted on social media by a friend. Her followers saw the resemblance too, and replied with Parent Trap gifs and other jokes. 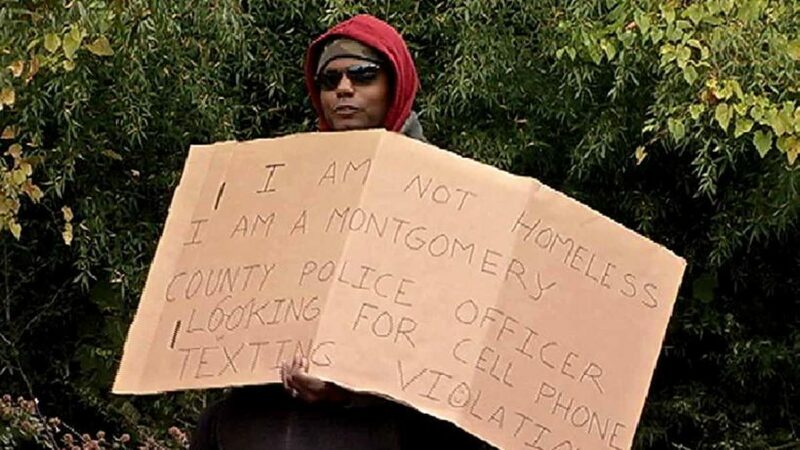 A Maryland police officer went undercover dressed as a homeless man to catch people who were using their phones while driving. Montgomery County police Sgt. Phillip Chapin and about eight other officers issued a total of 56 tickets county-wide that day, including 31 tickets and 9 warnings to people caught using their phones without hands-free devices. Chapin says authorities are seeing more distracted-driver-related deaths as a result of people using their phones while behind the wheel. The company announced on Thursday that it was testing technology that detects movement through a radar installed in the car’s front grille. The technology works with a windscreen-mounted camera to scan the road for hopping marsupials. The system builds on technology already used in cars in Sweden which applies a car’s breaks if animals are detected. “In Sweden we have done research involving larger, slower moving animals like elk, reindeer and cows, which are a serious threat on our roads,” Martin Magnusson, Volvo Cars safety engineer, said in a statement. 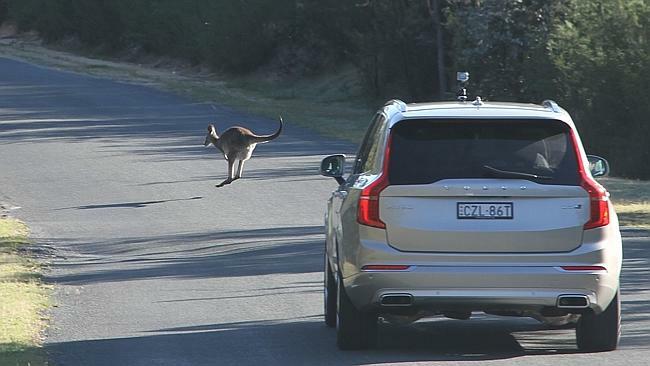 Volvo has engineers in Australia studying the movements of kangaroos. According to Australia’s National Roads and Members Association (NRMA), more than 20,000 cars are involved in collisions with kangaroos each year on Australian roads. Volvo shares a Chinese parent company, Geely, with London’s black cabs, and wants to eradicate human injuries in new Volvo cars by 2020. “This type of technology is not designed to take responsibility away from drivers. If the driver is inattentive the car will warn them and eventually make a hard braking to avoid a collision,” said Kevin McCann, Volvo Managing Director. The system processes 15 images every second and has a reaction time of 0.5 seconds, half that of the average human speed of 1.2 seconds. From London’s Daily Telegraph and the Boston Herald.